Welcome to a romantic getaway. An ambiance of bygone days makes our Junior Suites the perfect choice for romantic getaways. All of the Junior Suites have comfortable sitting room corners where guests can relax with splendid views of the park or the olive grove. 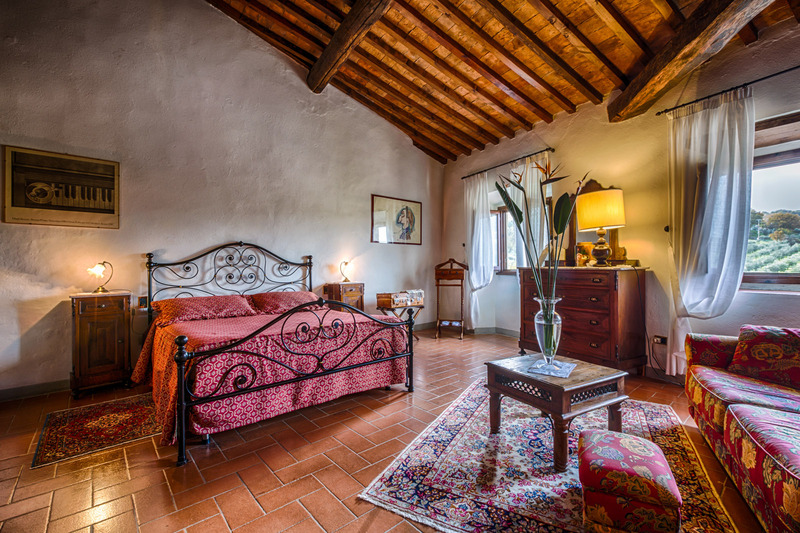 Exposed beam or vaulted brick ceilings enhance these suites that are furnished with double beds and unique antiques. Room measurements vary from 45 sqm (484 sqft) to 55 sqm (592sqft). 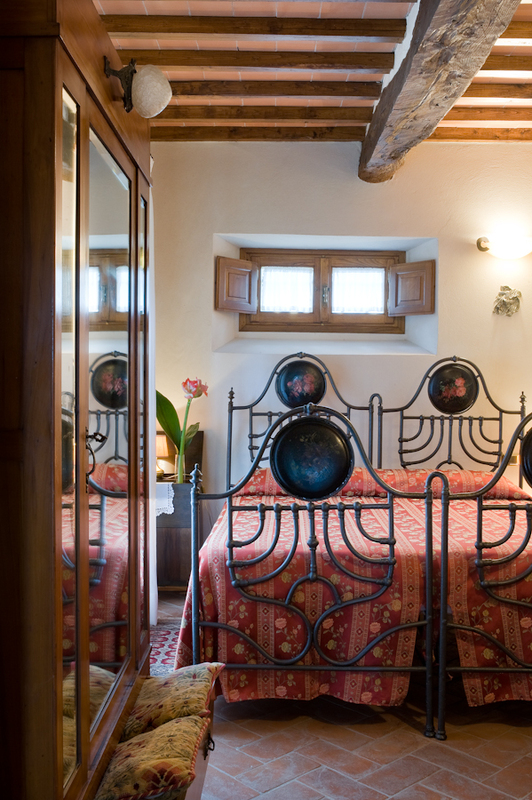 The bathrooms, equipped with a bathtub and/or shower, are tiled with the artistic ceramics of the “Antica Manifattura Chini” in Borgo San Lorenzo. The luxury of discovering pleasures of the past. 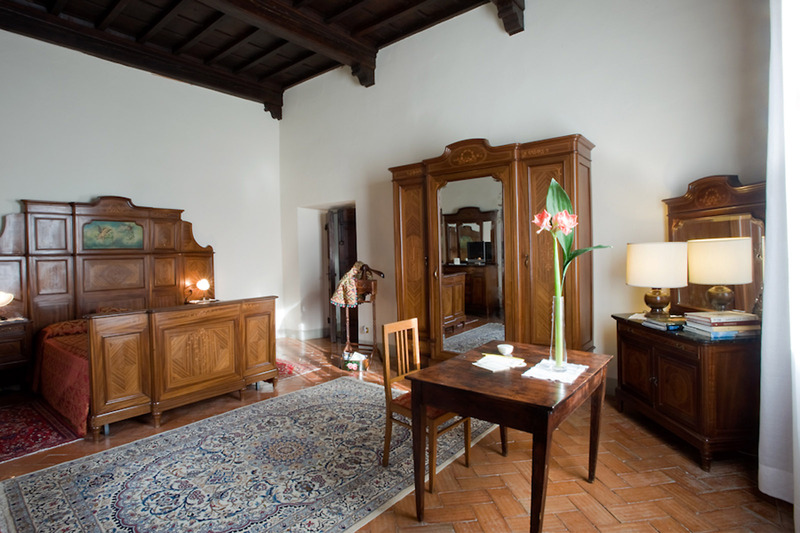 These suites have charming views of the park or the Olive grove and are available with a double bed and a cozy sitting room corner with armchairs and a table. The furnishings are refined antiques. Room measurements vary from 45 sqm (484 sqft) to 55 sqm (592 sqft) and ceilings with exposed beams embellish some of the Junior Suites. The bathrooms, equipped with a bathtub and/or shower, are tiled with the artistic ceramics of the “Antica Manifattura Chini” in Borgo San Lorenzo. One Thousand and One Nights. The Tuscan version. 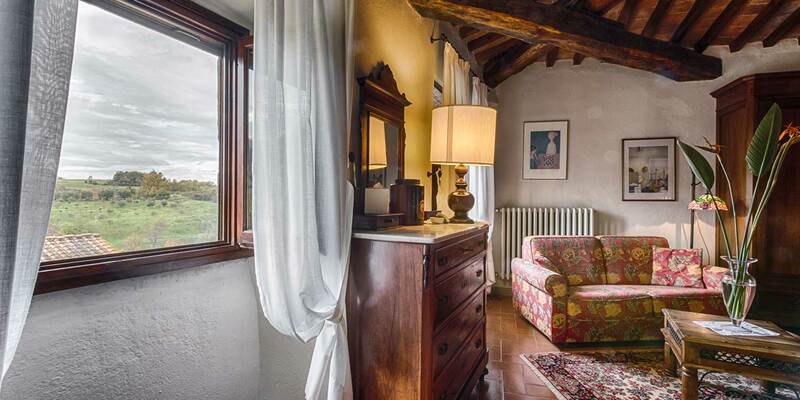 These suites overlook the park, the rural courtyard, or the typically Tuscan cypress lined avenue. They are available with a double bed and a comfortable sitting room corner with armchairs and a table. Furnishings include unique antiques, authentic Persian rugs, and handcrafted fabrics. Ceilings with marvelous exposed beams enhance these rooms that can measure from 45 sqm (484 sqft) to 55 sqm (592 sqft). The bathrooms, equipped with a bathtub and/or shower, are tiled with the artistic ceramics of the “Antica Manifattura Chini” in Borgo San Lorenzo. Amenities: LCD digital terrestrial channels, Telephone with direct line, Minibar, Courtesy set of handcrafted bath amenities from Fattoria di Belcanto (Vicchio, Mugello), Hairdryer, Slippers, Make-Up/Shaving Mirror, Room service, Laundry and/or ironing service upon request, Wake-up service, Pet friendly. Some rooms are accessible to guests with disabilities.